For years, ARG has renounced Christmas presents for its business partners and instead donates them to integrative, charitable or supportive institutions or initiatives. 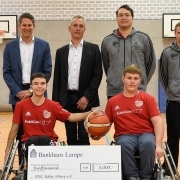 This year, the integrative project “rollis@school” of the Wheelchair Basketball Club Köln 99ers receives the donation. INCLUSION is for the 99ers not just a phrase, but lived practice in everyday sports. It is by no means limited to the term pair “pedestrian / wheelchair users”. Their teams train and play “young savages” and “old hands”, men and women, “Kölsche Mädcher” and “Kölsche Junge” as well as “Imis”, people with different nationalities and cultural backgrounds. 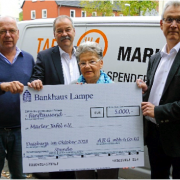 With this donation, the 99ers start a new project in the children and youth sector. Under the name “rollis@school” wheelchair basketball teams should be started especially at inclusive schools in Cologne.